Guest Post by Hugo Dos Santos. When I was a child growing up in Lisbon, my grandparents lived down the street in a small, one-bedroom apartment. That street, Calçada de Sant’ana, is on one of the city’s steepest hills, its cobblestones forever missing or uneven. It is a winding street, but for a good stretch it’s a straight shot of the shoulder-to-shoulder buildings typical of old Lisbon. I lived near the top of the street with my parents and sister, my grandparents near the bottom. Holidays were hosted at our place. My grandparents, who lived so close, were always there, as were aunts, uncles, cousins, and second cousins. Family came from all over. Groups clustered throughout our apartment. The men huddled around the television in the living room and the kids in my bedroom, except some older girl cousins who discussed boys in my parents’ bedroom. The women claimed the kitchen, both for purposes of preparing meals and discussing matters of interest. Often, my father and my uncle would be permitted entry; both were very good cooks. But my memories are of my grandmother in the kitchen. Though she had a big laugh, which she often accompanied with a clap, she was all business in there. She was known for her rice pudding, and for her turkey and lamb dishes, which she often made around Christmas. 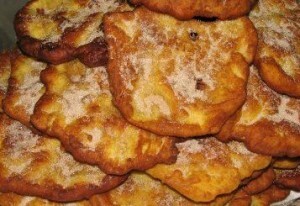 But my favorite, both because I can still smell the cinnamon and the frying oil, was always filhóses. She made the dough from scratch. She stretched it, pounded it, rolled it out, and then did everything all over again. Those were my holidays and my childhood was happy. 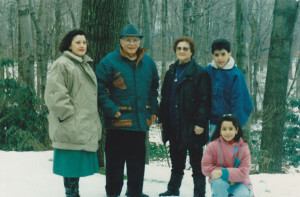 Later, when I was ten and my sister seven, my mother came to the U.S. to join my father, who had already been living here. 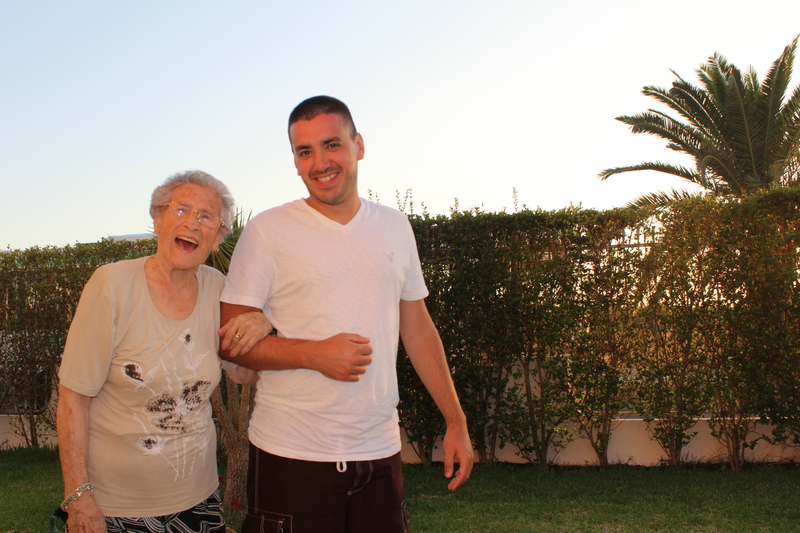 My grandmother agreed to stay with us kids so we could finish out the school year. She had always been a sort of second mother. For the next six months she was even more than that, and she later confided in me during one of my visits back home, my grandfather by then dead, that a small part of her died the day my sister and I got on that plane to meet our parents. She had watched us grow up, raised us, in part, and then we were gone, the echoes of family holidays in our apartment at the top of the street taking years to fade. Looking back, I now realize that leaving killed us too, in a way. My sister and I regained one set of parents by losing another. My understanding today is more complete. 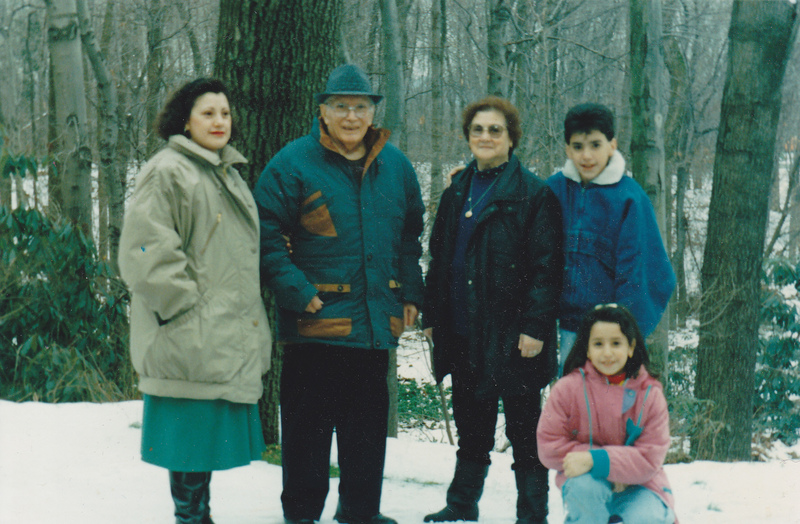 I know now, for instance, that when I arrived at my new home in Newark’s Ironbound district, I missed my grandmother more than I knew how to feel. Part of what I missed most was her cooking. Greater than the vast distance of the Atlantic between us, the absence of her food signaled the absence of something deeper, the loss of some part of who we were as a family. In the Portuguese culture, food is the excuse around which families gather. It’s how we celebrate. Those first few holidays in our new country featured meals shared between the four of us — my mother, my father, my sister, and me — a stark contrast to the gatherings of the twenty or so people I had grown up with back in Portugal. I still remember the sweet scents emanating from that kitchen. It’s the smell of Christmas, and of my homes. Click here for more information about Hugo dos Santos. « Do You Believe in Magic…Cakes?